Bangkok is currently one of my favorite cities in the world and Thailand one of my favorite countries. But it’s balmy as f**k. And I’m talking the kind of balmy where if you accidentally packed a t-shirt that is more than 180GSM you will never take it out of your case. Suddenly, only your lightest weight jerseys are wearable (and you can forget those vintage poly mixes) and even then you have this desperate heat-induced anxiety all the time, this need for seven cold showers a day, this constant film of moisture all over you, and I’m not even someone who sweats a lot. Are you getting it? It’s HOT. Hardly the place for a heavyweight raw denim scene to be in full swing, right? But the Thai’s would put half of you lot to shame with their commitment to raw denim; they love it! And this is not just Thailand–this is the case all over SE Asia! It’s a significant movement and it’s fascinating, so I decided to write about it. I hope you’re interested. I first visited Thailand in 2004, went to Chat-u-Chak (one of the most famous and largest markets in the world), got super overwhelmed and only bought one pair of vintage cowboy boots. I couldn’t find my way back to the hotel as it got really dark really fast, (before the iPhone of course) and I generally messed everything up, so it wasn’t a particularly deep dive into the scene there! But I do remember being struck by how tangible the vintage world was, even then. 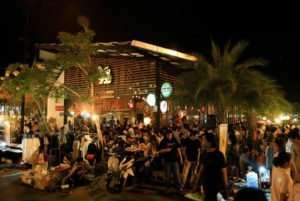 I started hearing about Bangkok again a few years ago in 2012 when Pronto started up their ‘denim carnival.’ Sam wrote all about it here on the WGSN blog, you can also check out our coverage for the 2013’s edition. Then a year later I remember reading about Ben Viapiana, and at that point, I realized something fascinating was going on. I just had to find out more. So I retraced my footsteps in May to try and get a sense of the city. 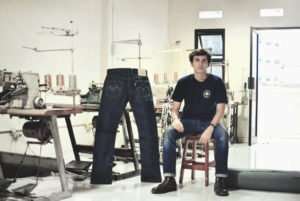 Direz is the man behind Darahkubiru, which is THE raw denim site in Indonesia. He was originally a massive sneaker-head who spent time on Superfuture and Superdenim, but it was when he was living in Amsterdam in 2009 and visited the store Mode D’emploi in the Hague (since closed) that he became converted. He met Rene and Menno from Tenue De Nimes, was intro’d to the brand Momotaro, and became entrenched in the Dutch denim scene. I also chatted with my new buddy and Denim Dudette, Lauren Yates, AKA Ponytail journal. She’s Thai-Chinese-British-Australian, grew up in Thailand until the age of ten then returned to the country about 5 years ago. She is a sometimes model, fashion writer and consultant, and fully entrenched in the apparel world, as well as being a fantastic cook. She set up the blog Ponytail Journal three years ago, which mixes up content from the things she loves: cooking, apparel, sustainability, and lifestyle. She founded her own brand called W’Menswear last season and Bangkok buddy Ben Viapiana is making the production for her first collection. Ben Viapiana visited Bangkok ten years ago on a traveling stint with no initial intention of staying, but yet there he is ten years later and with a brand under his belt too. He had such a fantastic time in Thailand that he wanted to stay, and he challenged his buddies to find him a studio to start a brand; he didn’t think they would. They proved him wrong, so he held up his side of the bargain and set up his own business in 2006. This is just a small selection of industry leaders who are carving out a career in denim over in SE Asia. When I visited Thailand recently, I met many more characters besides and I also learned a great deal about the greater community and the larger scene within this collection of tropical countries. The great thing is that these days all these individuals (and of course many besides) are now connected. 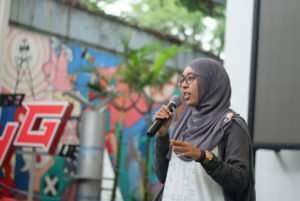 People such as Mayang and Direz have successfully united and educated their region and created an online community. Not only can denim-heads find out about the newest collabs, brands, and sales, but they can even get help starting up their own line from production to promotion. It’s surely the rise of such websites as well as the online communities of Instagram, Facebook and Twitter that has led to this otherwise isolated group of islands, countries, and individuals to unite. In fact, Direz told us that actually Indonesia ranks as the top five users of social media in the world! But what I’m most interested in is what started this obsession going, before the good old internet joined the dots? So why were denim and Americana such a big deal? Well, much like the Japanese obsession with ‘Shibukaji’ (American casual and workwear, for those who didn’t read page 217 of my book, you swines) my theory is it started with war. It’s well documented that the Japanese became obsessed with the Americans in the late 40s and 50s, who had been posted in Japan during and just after WWII. Well, this same obsession and interpretation of Western style is also the case in SE Asia. Lauren tells me: “There is a mentality here that exists thanks to a strong culture, and tradition is always second best to things that come from the west.” I personally think the Vietnam war might have had a lot to do with this; all the strapping American soldiers coming over to Vietnam with their kit bags and camo and buying embroidered souvenir jackets. Despite this period of suffering, a mutual embrace of each others’ cultures occurred and is still being played out to this day. And of course, when these bales of garments come in, with them comes opportunity. 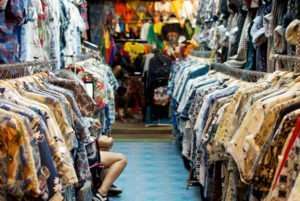 So that explains a lot–vintage was learned first as a way of earning a living and getting by and has since turned into an obsession which has, in turn, inspired many fledgling brands to start their own labels. So when did a love of vintage cross over to this thriving raw denim culture we see today? 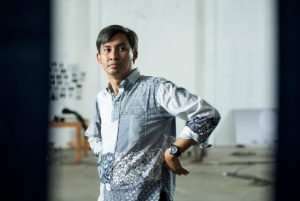 Mr. Hamzah from Sage remembers it clearly: “the raw denim ‘boom’,” or hype, in Indonesia, started in circa 2006/2007, when brands like Nudie, Cheap Monday, and Ksubi entered the market with their raw denim. That introduced the “don’t wash your jeans for 6 months and you’ll get cool fades” mantra. Then the early adopters started to follow that cult, and share their experience with their raw denim on general fashion forums here. 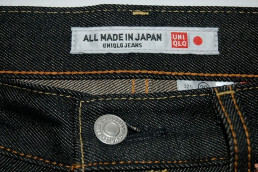 Then, circa 2008/2009, the second wave of raw denim hype started, the Japanese denim started to penetrate the market. 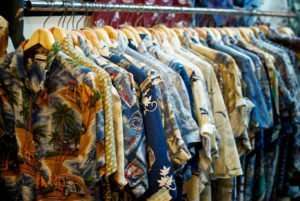 It started with brands like Imperial, Skull, Pure Blue Japan, and Samurai. 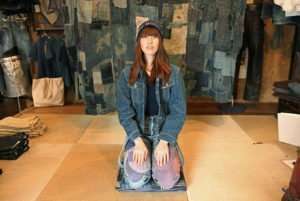 Then the denim enthusiasts who saw how the Japanese denim fades with such distinctive character, those tate-ochi, those electric blue contrast fades…. And then the majority preference changed, they left their Nudies and Ksubi’s behind, moved on to the Japanese brands, and they familiarized themselves with 17-19oz. 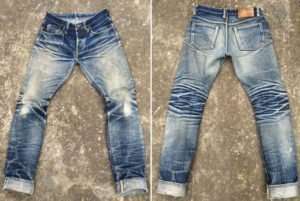 of denim that produced better and more unique fades. I didn’t manage to visit on my last trip, but the northern areas of Chiang Mai and small villages beyond are like the mecca of Thai indigo craft. The UK’s own Story MFG are huge advocates of this movement and have based much of their energies in producing out here, as are Indigo People, and many more besides. As slow-made Western brands are attracted to work with these small makers, they are in turn supporting these families and villages and helping to keep traditional and local craft alive. 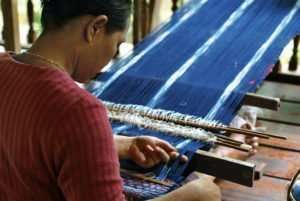 Thailand is home to hand-loom weaving, natural indigo dyeing, Ikat, Batik, you name it. And then finally, let’s talk about that goddamn climate! Because we all know by now that SE Asia has made a name for themselves with their ‘heaviest fades,’ and climate has a lot to do with that. 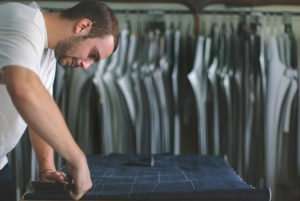 So I think we’ve cracked it guys: South East Asia has got the understanding and existence of a thriving vintage scene–access to some of the best vintage denim in the world which–when you add an entrepreneurial spirit, leads to a fantastic knowledge and understanding of the history of denim. The people have a natural taste for Americana and the lifestyle that goes with it. Add to this the access to manufacturing, both modern and competitive, plus ancient and artisanal. Chuck in the enthusiasm and creativity that seems inherent in SE Asia, and it’s no wonder this scene has kicked off. 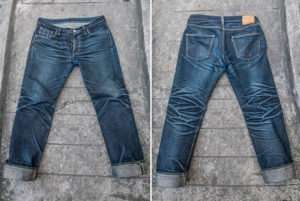 And then lastly, good old mother nature lends her hand, collaborating in some of the best denim fades the community has seen: it’s a match made in SE Asia. The market is continuing to grow, new denim brands are continuing to emerge, these raw denim jeans are continuing to fade like no other, and this fascinating denim eco system continues to be an inspiration to the rest of the world.